IObit Malware Fighter offers cyber security protection for PCs. This software is designed to work in sync with other third-party antivirus solutions. 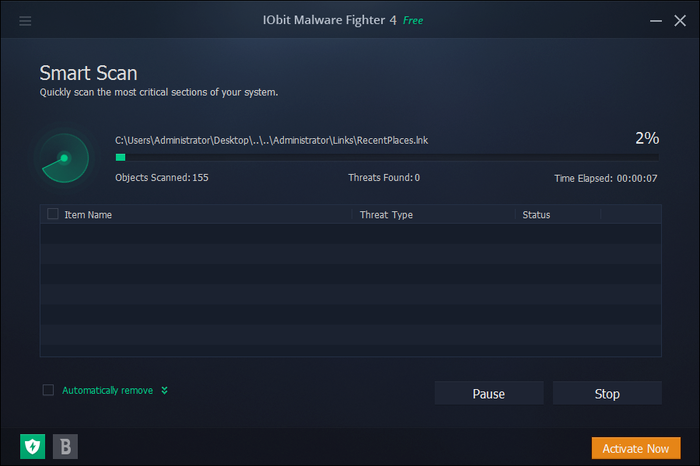 IObit Malware Fighter is specifically optimized to detect malware and deal with it accordingly in order to prevent further problems with a computer's system. This software can scan files for any hidden attachments such as spyware and other rogue installations that are known as Remote Control Utilities. When it's in Silent Mode, IObit Malware Fighter does not take a lot of memory. Therefore, this malware fighter is considered to be relatively lightweight compared to other similar cyber security solutions.